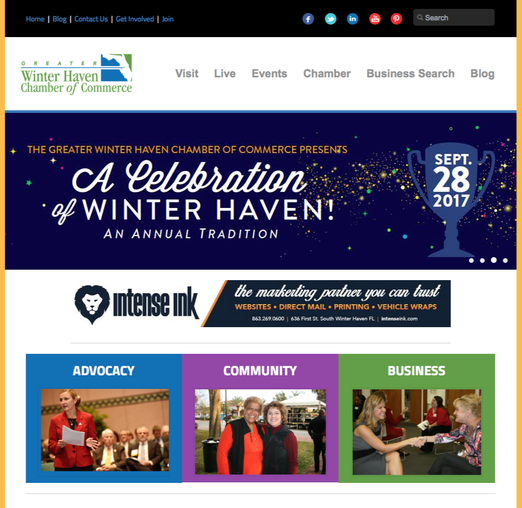 The Winter Haven Chamber makes it easy to market your business! Through our Winter Haven Magazine, website advertising and our First Thing Monday Morning E-Newsletter, we are able to advocate and promote your business with focus and effectiveness. This is the annual publication of the Chamber and it is distributed via relocation package requests, hotels, visitors centers, restaurants, medical clinics, Chamber member partners and B2B requests. 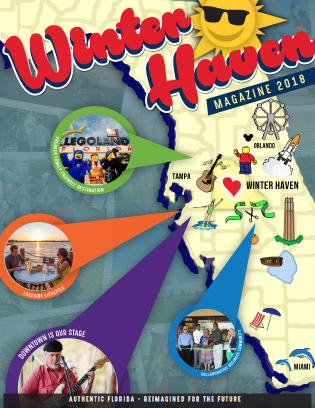 It is a full-color, glossy format featuring Winter Haven local businesses, attractions, lodging, dining, shopping, history, schools, events and new resident information. It is a full-sized 8.5” x 11” and is accessible 24/7 via winterhavenchamber.com. ​“First Thing Monday Morning” is sent every Monday to 1,600+ people. 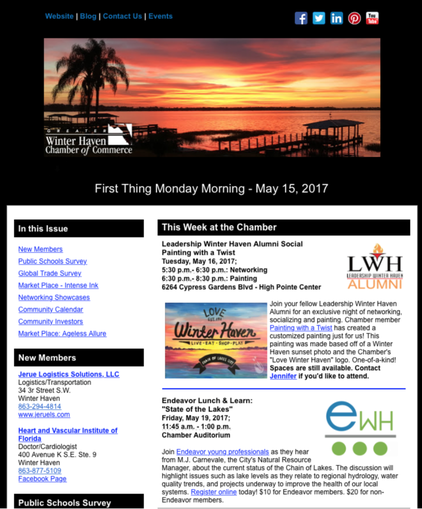 This e-newletter reminds Chamber members of weekly and upcoming events, new members, ribbon cutting ceremonies, local news and more. Two banner spaces are available. “In The News” is sent when there is breaking news, typically every 10 days or so. One banner space is available.